Need a plumber for toilet lead bend pipe replacement in NJ? Call us today at A1 Sewer & Drain Services at 201-645-0888. Need help replacing a lead bend pipe in your toilet? 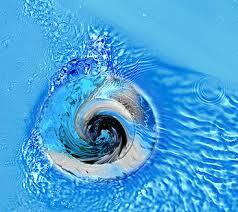 At A1 Sewer & Drain Services, we specialize in wastewater plumbing, including toilet drains and sewer laterals. Our experienced local NJ plumbers are always available for same-day plumbing service with fast response times, free cost estimates, and quality workmanship. 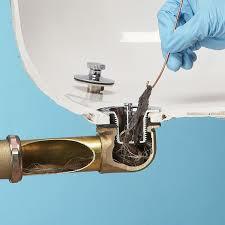 For plumbing repairs today, including toilet lead bend pipe replacement, call us at 201-645-0888. 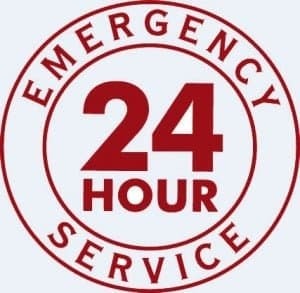 We also offer 24/7 emergency plumbing service in NJ for urgent problems. Call us today! 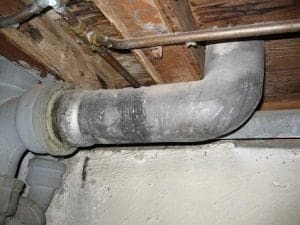 In older homes in NJ, toilet pipe bends are often made from lead. Lead has largely been phased out of plumbing; in fact, the EPA considers lead to be as dangerous as asbestos. Although lead in a drain pipe won’t necessarily contaminate your water supply, lead pipes in general tend to be quite old, and so you may need toilet lead pipe bend replacement when the pipe inevitably cracks. Toilet lead pipe bend replacement is a pretty involved process, requiring plumbers to remove the toilet and flange, and also cut away flooring around the pipe. Frankly, it’s also a dirty job. As such, it’s not something you want to DIY on your own, if you can avoid it. Turn off the water. To safely replace a lead pipe bend in a toilet, NJ plumbers will need to turn off the water supply at the water main. After that, remaining water can be removed from the toilet. Removing the toilet. To access a closet bend for toilet lead pipe bend replacement, the plumber will need to remove your toilet temporarily. Removing the flange. After the toilet has been removed, plumbers remove the flange. 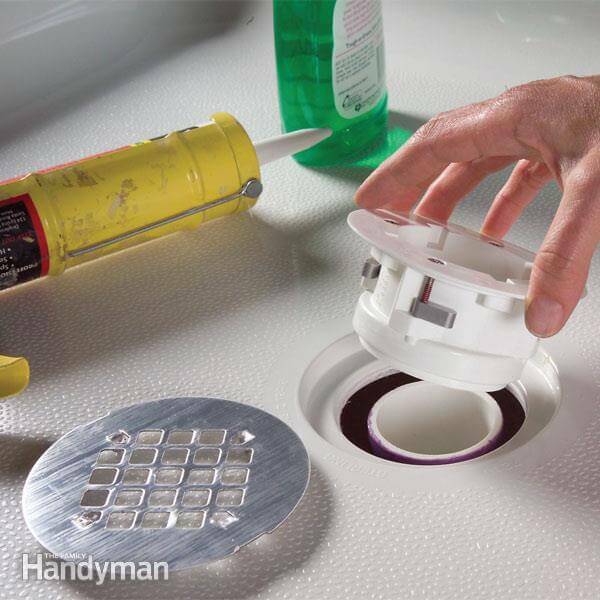 The flange is the pipe fitting that connects the toilet drain to a drain pipe. Cutting down flooring. To access, remove, and replace the pipe bend, as little flooring as possible is removed from around the drain with a saw. Removing the closet bend. The curved bend will be either unscrewed or cut. Plumbers will need to measure the length needed, adding a 1’2″ for a slot on the end. Fitting the elbow. Next, the elbow needs to be fitted into the section where the old pipe bend was removed. Installing the long piece of pipe. Once in place, the pipe is glued with joint cement. Then, the toilet and flange can be put back after the toilet lead pipe replacement process is complete. Pipe bend replacement is one of those things where you’ll need a professional plumber, unless you’re extremely proficient at working with plumbing. There’s a lot of room for things to go wrong, and lead can also be hazardous to work with. Working with lead can require eyewear, face masks, gloves, and other protective gear, since the material can be a health hazard. At A1 Sewer & Drain Services, we specialize in drain and sewer line repair, replacement, and installation in north NJ. We serve homeowners, businesses, industrial facilities, and municipalities throughout the region, including Bergen County, Morris County, and beyond. At A1 Sewer & Drain Services, we provide drain repair services in NJ, including 24-hour emergency calls. Clogged toilet or sink drain? At A1 Sewer & Drain Services, we’re Bergen County’s drain and sewer clog experts. We’re always available for drain cleaning, including commercial and restaurant drains in New Jersey. We also provide sewer cleaning in NJ for clogged sewer laterals and sewer main lines. Need a Plumber in NJ? Call Us Today! Need a plumber for toilet lead pipe bend replacement, drain pipe repair, sewer repairs, or other plumbing services in NJ? At A1 Sewer & Drain Services, we’re available 24/7 for all your sewer, drain, and plumbing pipe repair needs. 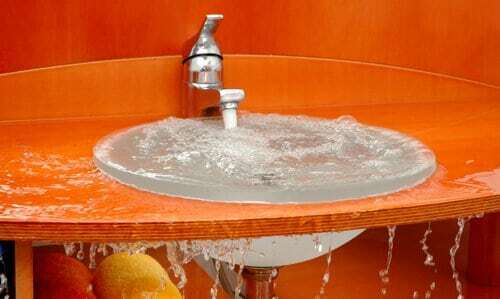 Call us any time for same-day service from skilled and experienced local plumbers, at 201-645-0888.